Top Floor Penthouse in GREEN development by Adera! The newest building "Summer" in the development. This corner suite boasts an absolutely stunning setting looking out over a beautiful green-belt from over 600 sq ft of patio space! 2 bedroom and 2 full bathrooms, in-suite laundry, and open plan living with high ceilings. 2 of the best parking stalls in the building and large storage locker. Fantastic development with first class amenities including gym, media room, pool table, and meeting/party room. 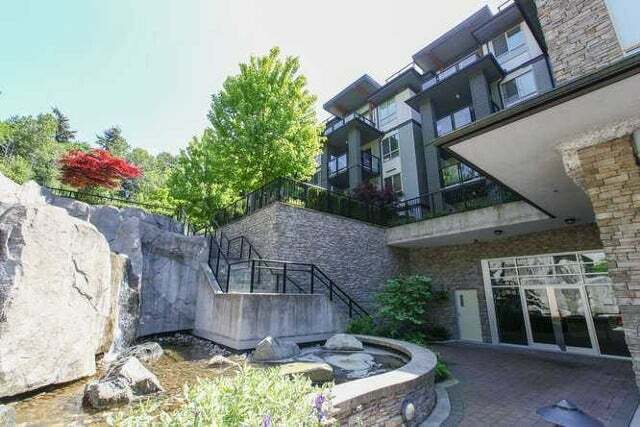 Just a few minutes walk to Skytrain and close to Market Crossing or Highgate for all your shopping. A truly unique suite in a tranquil, private setting. Floor Area 757 Sq. Ft.